Accounting ethics is an important topic because, as accountants, we are the key personnel who access the financial informationThree Financial StatementsThe three financial statements are the income statement, the balance sheet, and the statement of cash flows. These three core statements are intricately linked to each other and this guide will explain how they all fit together. By following the steps below you'll be able to connect the three statements on your own. of individuals and entities. Such power also involves the potential and possibilities for abuse of information, or manipulation of numbers to enhance company perceptions or enforce earningsCash Earnings Per ShareCash earnings per share (cash EPS) is the operating cash flow generated by a company divided by the number of shares outstanding. Cash earnings per share (Cash EPS) is different from traditional earnings per share (EPS), which takes the company’s net income and divides it by the number of shares outstanding. management. Ethics is also absolutely required in the course of an audit. 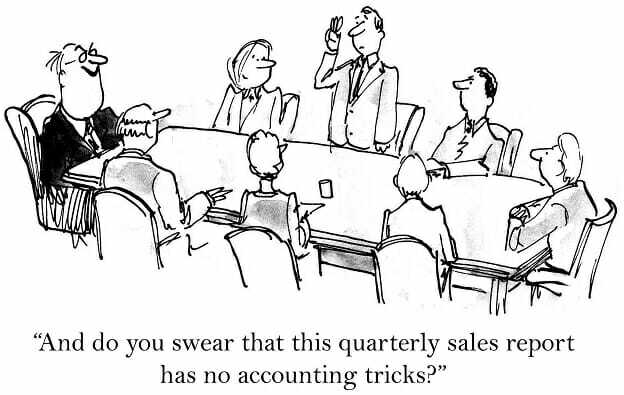 Without meeting the requirements of auditing and accounting ethics, an audit must instantly be paused. Ethics and ethical behavior refer more to general principles such as honesty, integrity, and morals. The code of professional conduct, however, is a specific set of rules set by the governing bodies of chartered accountants. Although the rules set out by different bodies around the world are each unique, some rules are universal. Let’s take a closer look at some of these important rules. One of the key rules set out by professional accounting bodies in North America is the idea of independence. 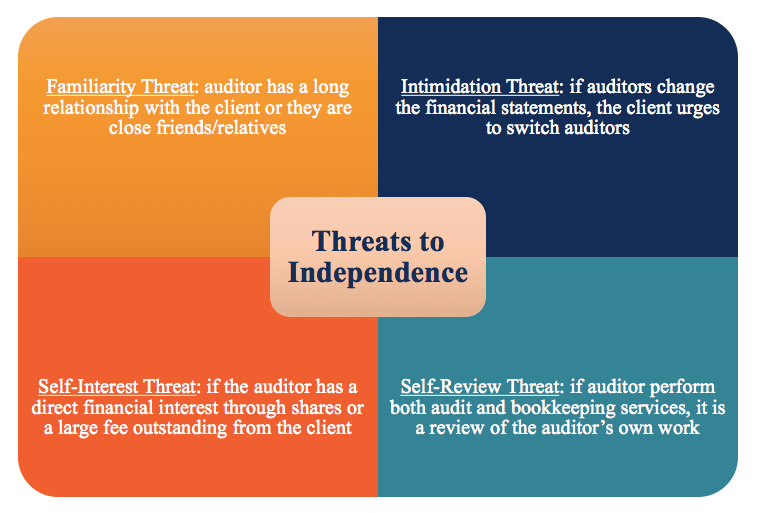 This is the idea that, as an auditor, you must be totally objective and must be without ties to or relationships with the client since that could potentially impair your judgment and impair the overall course of the audit work. Independence in fact refers to any factual information such as whether you, as an auditor, own any shares or other investments in the client firm. These facts are usually easy to determine. Independence in appearance, however, is more subjective. Let’s say, for example, that as an auditor you were invited to a year-end party at the client firm. The party turns out to be extremely luxurious and you also receive a nice watch as a gift. In appearance, would the auditor, who was invited to the party and who also received a gift, be able to maintain independence in the audit? In order to solve a potential conflict of interest, a reasonable observer’s test is used – i.e., what would a reasonable observer say about the situation? Integrity and due care – Audit work must be done thoroughly, diligently, and in a timely manner. Professional competence – Auditors must be competent, which means he/she must have both the necessary academic knowledge and experience in the relevant industry. Duty to report a breach of rules – This rule is commonly referred to as the whistleblower rule. If a CPA observes a fellow CPA violating any of these rules, he/she has a responsibility to report it. Confidentiality – Auditors must not disclose any information regarding the client to outsiders.